With approximately 25,000 hairs as hard and thick as copper wire, the almighty beard has separated men from boys throughout history. Some of the greatest leaders of all time have adorned their faces with this iconic symbol of masculinity, but where one generation perceived it as a sign of virility, dignity and higher status, the next may have interpreted it as a sign of rebellion or even sloppiness. 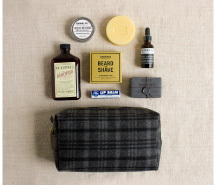 If you think that beards are only for outdoorsmen or the unemployed—think again. There’s no denying that a full-beard is prevalent now more than ever, with some of the negative stigmas that have followed being, shall we say, shaved away. 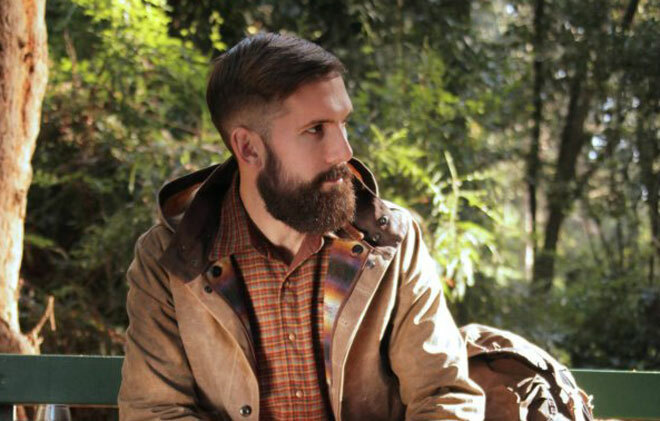 Full beards are decidedly back in fashion, and it’s not hard to see why. Shown here is Jason Kendig, one quarter of San Francisco-based house collective Honey Soundsystem. Image courtesy of Jason Kendig. Beard appreciation has had a love/hate reputation dating as far back to ancient civilizations, where a beard was a sign of honor and only removed as a form of punishment. It wasn’t until approximately 345 B.C. when Alexander the Great decreed soldiers could not have beards, as they would be pulled in battle. During the Middle Ages, touching a man’s beard was a sign of disrespect and immediate grounds for a duel. 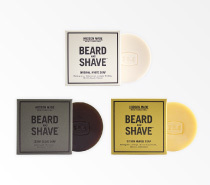 By the late 1800s, Victorian men became extremely particular over their personal grooming and began utilizing shaving soaps and after-shave lotions to keep their facial hair well maintained. In the 19th century, our president “Honest Abe” Lincoln led by example, making beards even more popular for American men. Today we find that men grow beards for a multitude of reasons. Growing facial hair can enhance your jaw line, or even help “mask” undesirable features. Some men also find it to be a liberating and more natural way of living. Others just enjoy the reactions they get, especially in relation to the laws of attraction. 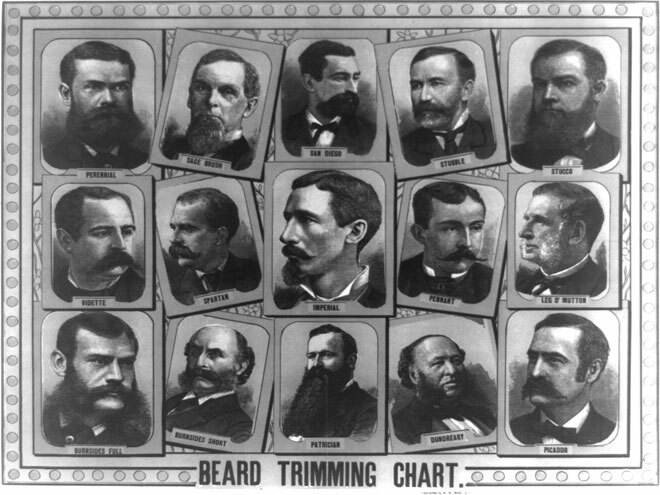 An 1884 Beard Trimming Chart showcasing a variety of colorfully named Victorian-era beard styles, including the “Sage Brush,” “Stucco,” and “Patrician.” Image credit: Library of Congress. In a study published in 2008 by Nick Neave and Kerry Shields, sixty women between the ages of 18 and 44 rated pictures of men with different levels of facial hair: the one with a heavy beard was labeled the most mature, masculine, and aggressive. The participants viewed a “light beard” as the most dominant and best for relationships—both long and short term. The “clean-shaven” images were the lowest in terms of dominance, attractiveness, masculinity, age, maturity, relationship desirability and aggression. 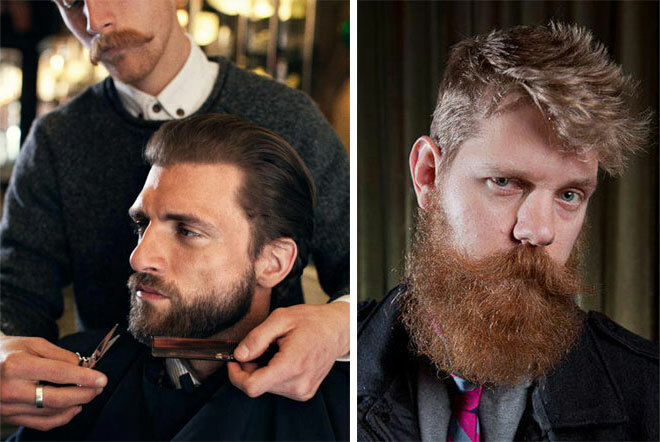 Regardless of whether you want to grow mutton chops, a Verdi or simple five-o’clock shadow, an abundance of bearded inspiration has inundated popular culture. Social media sites like Beards.org, The Love of Beards, Beardboard.com and The Bearded have thousands of followers and include message boards and images where users can boast their beards and trade grooming tips. Morgan Spurlock, director of Super Size Me, recently released a documentary, Mansome, showing the diverse ways modern men define masculinity, along with giving the world more exposure to bearded culture. The IFC television network also recently completed a second season of Whisker Wars, a docu-comedy set in the world of competitive facial hair growing. Hollywood heavy-hitters are also contributing to this bearded renaissance, such as Hugh Jackman, George Clooney and Ryan Gosling, who were recently seen with their razors clearly put on hold as they walked the red carpet at this year’s BAFTA Awards in London. The NY Daily News also reports, “From the US to Europe, there is no question that the beard is back fuller than ever.” The proof could be seen at this month’s New York Fashion Week, where models for Ovadia & Sons, Mark McNairy New Amsterdam and Lucio Castro (among others) sported a range of fully coiffed facial hair. Models for the Ovadia & Sons S/S ’14 New York fashion week show, along with those of other designers, walked the runway sporting beards of varying lengths and styles. Image source: Christopher Fenimore. There are also whiskered communities sprouting up all over the globe, and possibly in your town already (complete with competitive growing contests). From the online four-month beard growing competition on whiskerino.com, where you can earn the title of “King Beard,” to The Beard Team USA organization that lists how to compete and join your local chapter. At left, a barber uses scissors (not electric trimmers) to carefully trim a client’s beard at the Amsterdam shop BARBER (image courtesy of BARBER). 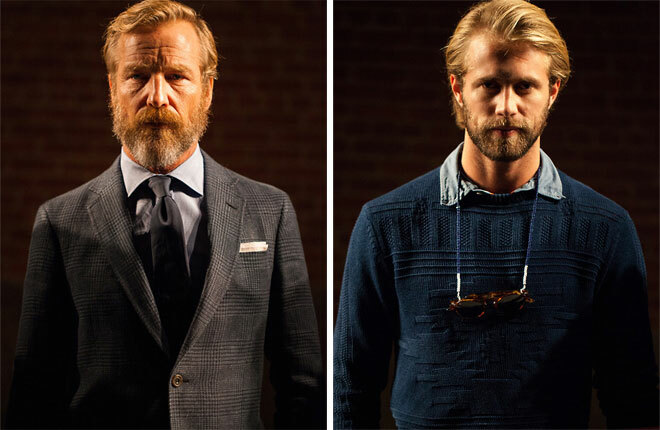 At right, Eric Bandholz of Beardbrand (image courtesy of Eric Bandholz). With the beard remaining one of the most distinct symbols of masculinity, you owe it to yourself to sport a beard at least once during your lifetime—despite what stereotypes may follow. Just remind folks to not judge a face by its cover. 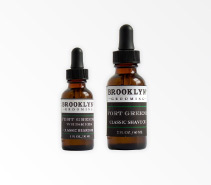 Care for your beard with these products from Hudson Made and browse our full grooming collection here.